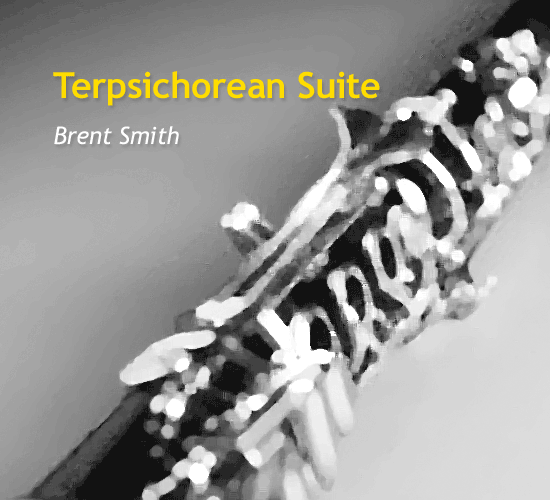 This version of the four movement Terpsichorean Suite is named after the mythological muse of dancing and singing. 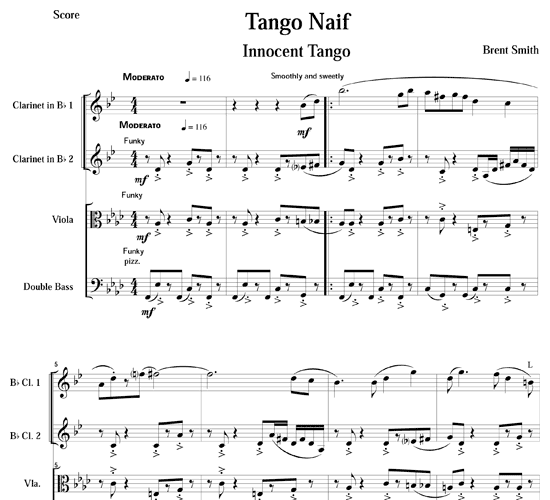 Tango Naif (innocent) uses a lively melody that depicts gently sweeping tango dancers. 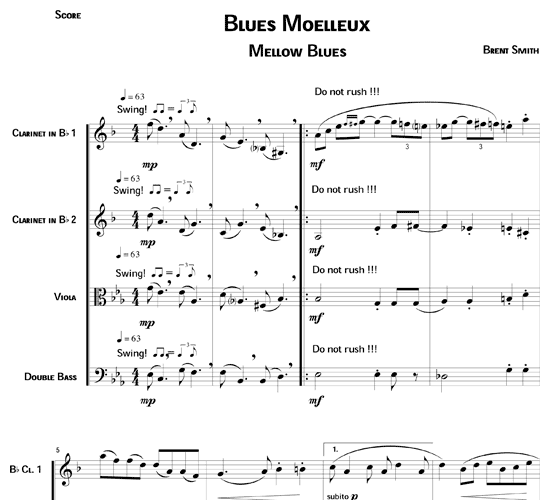 Blues Moelleux (mellow) features a laid-back staccato style and deep, dark cadences. 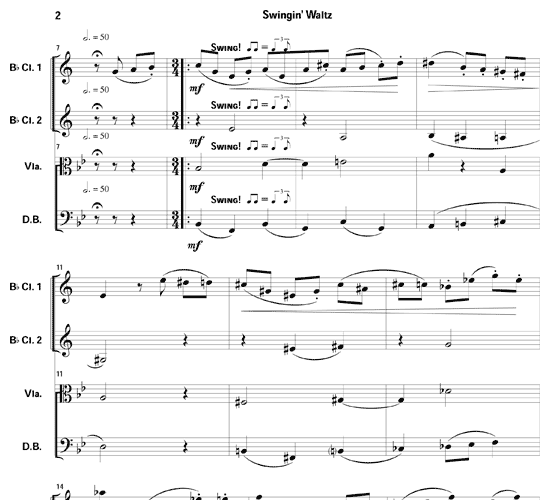 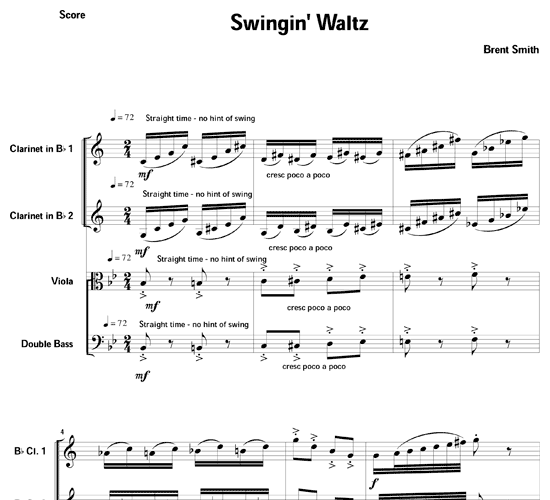 Swingin’ Waltz uses four different meters to develop its cyclic harmonies of a unique jazz waltz. 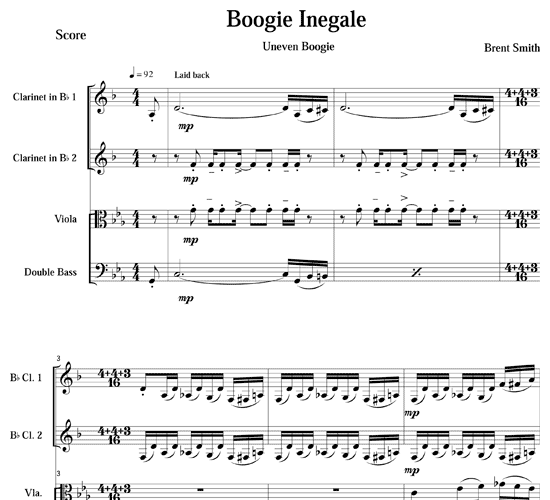 Boogie Inegale (uneven) has a be-bop flavor realized through a surprisingly natural-sounding 11/16 meter. 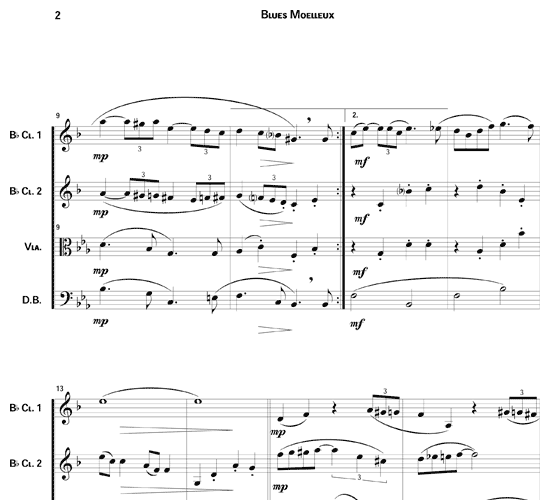 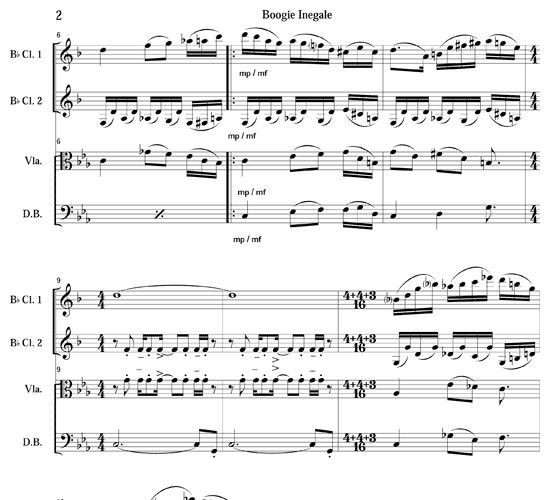 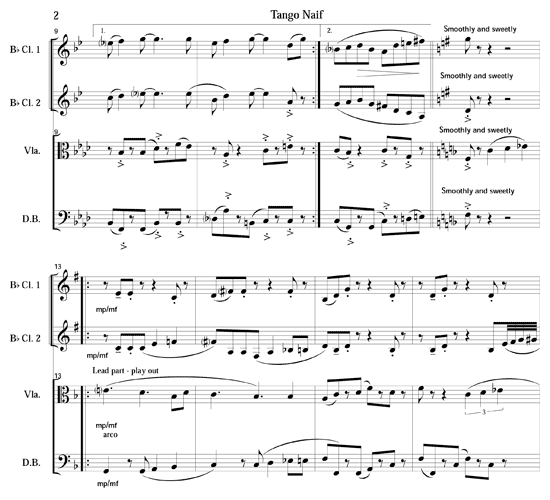 The parts of this arrangement are specific to the clarinet/viola/bass instrumentation and are not interchangeable with the clarinet quartet version, which is also available on ScoreVivo.